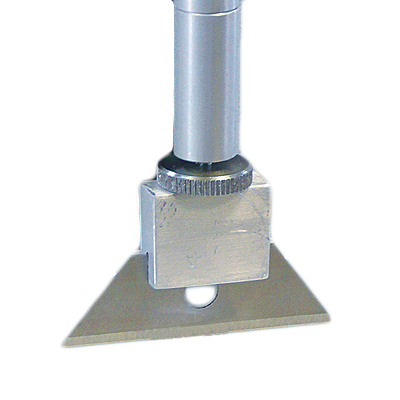 The TMS large craft knife is ideally suited to shearing applications of samples which are too hard for the wire shear probe, or too large for the standard craft knife. 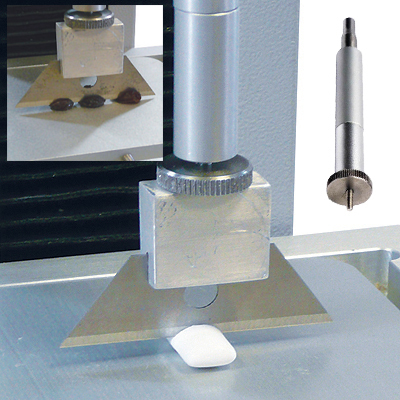 Held within a rigid support frame, a sharpened craft blade is designed to pass completely through each sample, measuring the sample’s cross-sectional properties. Large scale craft blade to cut through samples too hard for the wire or large for the standard craft blade. Ideal for vegetables, meats, pastries and expanded extrusions.